Dental care is an essential part of a health care routine. Brushing with standard toothpaste doesn’t always solve all of the problems you might have with your mouth. When I was offered the chance to try the OraMd Oral Hygiene Program, I couldn’t say no, especially after visiting the website www.oramd.com, where I learned that OraMD is great for swollen gums, red gums, bleeding gums and bad breath. I don’t have the worst breath in the world by any means, but I do worry about having smelly breath. I am a coffee drinker. I constantly have coffee breath. I couldn’t wait to try OraMd when it came. This product is different because it is liquid and antibacterial. I liked how clean my teeth felt after brushing with it. I liked that OraMD is not only toothpaste, but is also a mouthwash when added to water, and can be used in place of mints and gum. When combined with flossing, OraMD is a complete oral hygiene program. I liked that I didn’t have to use multiple products when I used OraMD. My bathroom is teeny tiny and I loved the space saving benefit. I liked that the product works, it really made my mouth feel clean after brushing, my breath was better, despite the coffee habit. I learned that this is because bacteria were the cause. I liked the flavor, but it is very strong and intense at first! 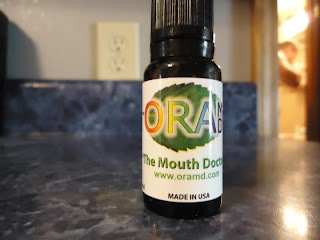 I liked that OraMD is fluoride free and contains all natural ingredients such as peppermint, spearmint and almond oils. I don’t know that I would switch to OraMD exclusively, as it is kind of expensive at around $23 for a single bottle, which contains 400 drops. To learn more about how OraMD can help battle gum disease, please visit http://www.oramd.com/gum-disease-treatment.htm. BUY IT: OraMD Original Single Bottle is $22.97, and OraMD Extra Strength Single Bottle is $39.97. There are some promotions for multiple purchases. ** I'm not responsible for shipping/sending the prize. I'm not affiliated with this company. Thanks for the giveaway! This sounds interestering! this sounds like an awesome and interesting product to try thanks for this great giveaway! I learned that some of the cheaper plastic toothbrushes dont hold up to the botanical oils in it! I have some periodontal problems. Going through the list of conditions on the site, I feel like I really really need this now. I am quite serious about oral health, and I try to instill this in my family. 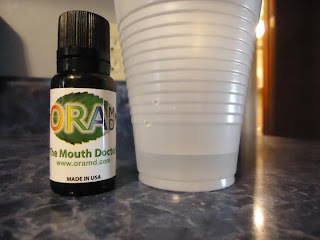 Ora MD might help me convince my family of the importance of keeping our mouths healthy! I only have 6 teeth left and this may help me keep them! Thank you for the possible opportunity to try a much needed product! I have a friend who just started using it and suggested it to us. Sounds like a great product! I don't have sore or bleeding gums but do have sensitive teeth. Wonder if it would work for that? I'm very interested in natural tooth care products! This would be great! 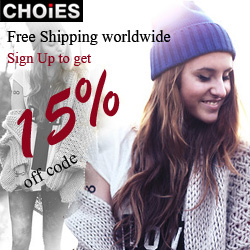 they have a free shipping promo. OraMD has tons of glowing testimonials. - Judith R.
Gum disease is worse than a cavity past a certain age, and the typical mouthwash sold is not really good for you! The alcohol is far too drying. This would be fantastic for gum problems. I have receding gums, so this would be great! I would love to try this. This is what i need. this is something I need the more I read about it. Great! Visited the site! I would love to try this product! It's important to take care of your gums. The website is pretty convincing. I'd love to give it a try. Thanks for this awesome giveaway! Would love to thy this out. We've recently stopped using regular fluoridated/SLS toothpastes, and have been trying to find something that we all like. Thanks for the opportunity! thanks for the chance to try. I have sensitive teeth so this will help me..
Would like to try this! I hadn't heard of this before and it looks interesting to try. That is a fantastic idea.I would like to try this.